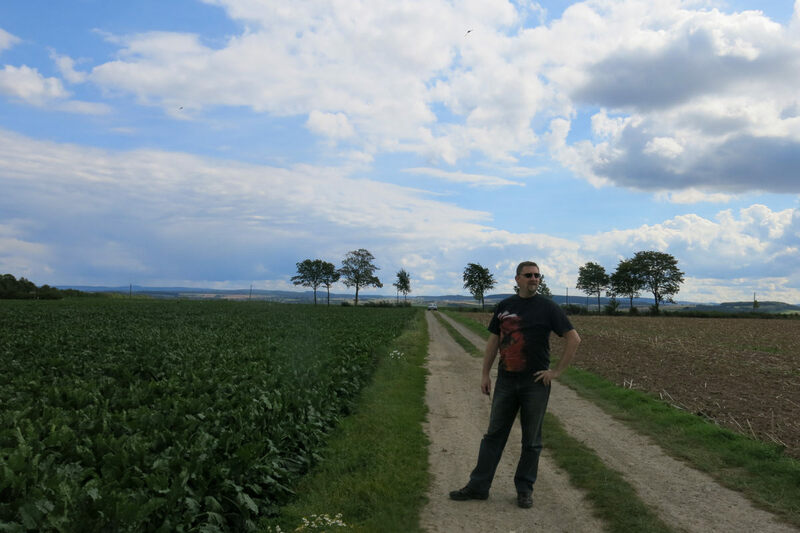 Last year, we toured the Eastern Ardennes in Luxembourg and Eastern Belgium, visiting famous locations like Clervaux, St Vith, Ettelbrück, and Diekirch. This year, we set up base camp in one of the most important (and certainly the most famous) locations of the Battle of the Bulge: in Bastogne. 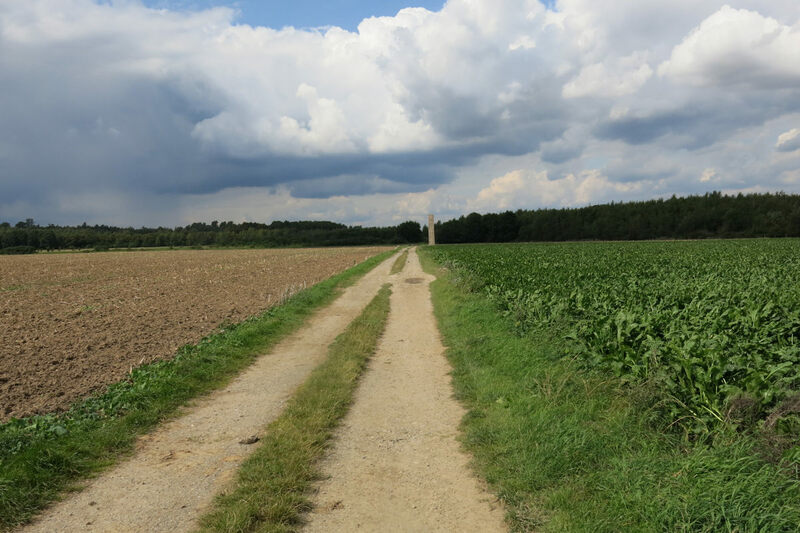 From there, we visited places like Foy with the Easy Company foxholes, Recogne, Houffalize, and La Roche-en-Ardenne, where the US troops joined forces with the Scottish Highland Division. 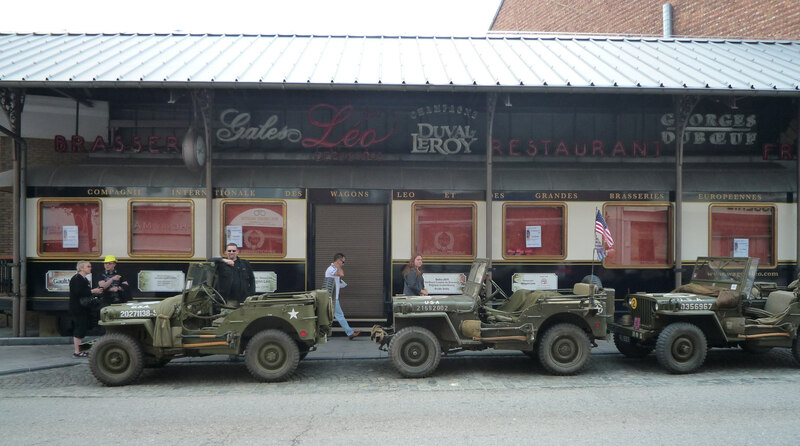 All over the area, you can find relics and reminders of the Battle of the Bulge – memorials, museums, and even traces of combat still visible on the battlefields. This combined with the impressive landscape of steep rocky valleys, soft rural hills, dense woods, and tiny villages, the Belgian Ardennes are well worth a trip! Please check out our photo gallery for MANY MORE photos!! Despite the fact that there are certainly more picturesque places in the Ardennes, we decided to stay in a hotel in the noisy and congested crossroads town of Bastogne, which is situated on a ridge at an altitude of 510 m.
The strategical importance of this small city (about 14,000 inhabitants) lies in the fact that all roads within the Ardennes lead to and through Bastogne. This was the main reason why both sides were fighting desperately to get control over the city – who controls Bastogne, controls the road network of the entire region. 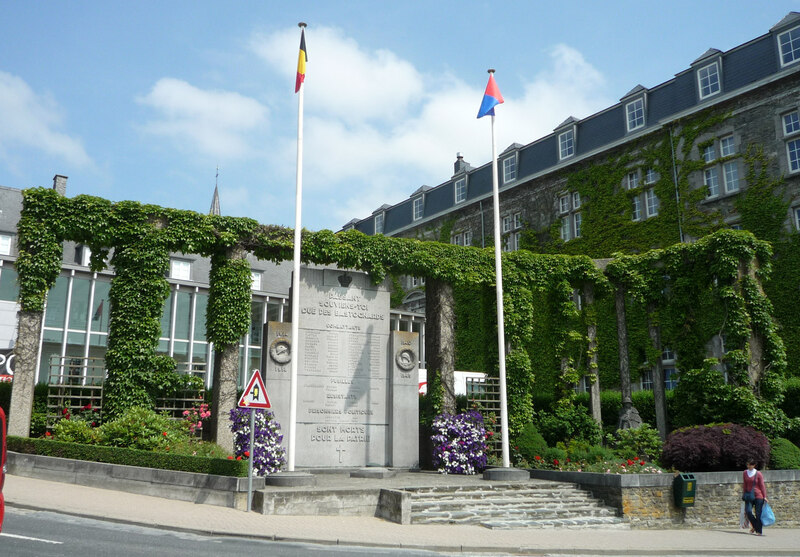 The same is still true today – and this is the reason why Bastogne can certainly be considered to be the traffic capitol of the Ardennes. The layout of the city is simple: one main road (with shops, bars, church), one giant parking space in the central square, surrounded by bars and restaurants, and a central crossroads with numerous roads leading out in all directions, reminding us of a spider’s net. 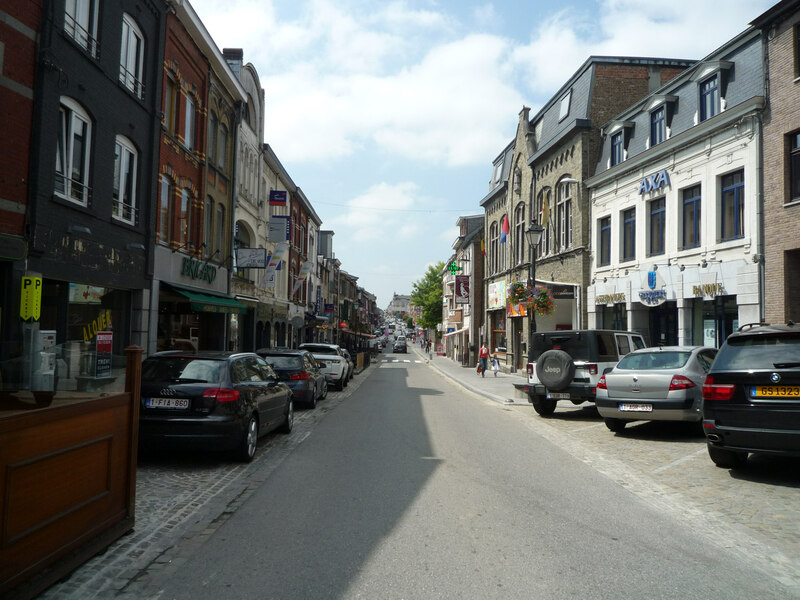 A never-ending stream of cars rushes through the streets all day long, so Bastogne is easily the noisiest and busiest places in the quite and peaceful Ardennes. Bastogne was captured by US forces in December 1944 and a strong perimeter around the city was built. On December 20th, 1944, German forces under the command of Lt. General Freiherr von Lüttwitz managed to bypass Bastogne and encircle it. The besieged city was held by the 101st Airborne Division under the command of Brigadier General McAuliffe and elements of the 10th Armor Division, which were outnumbered by surrounding German forces 5-1. The situation in the besieged city was rough because medical supplies, food, and ammunition were soon running low. In addition, winter 1944 was one of the coldest winters ever recorded with temperatures dropping as low as -28°C / -18.4 F and the soldiers where not properly equipped with cold-weather-gear. In the beginning, there was no hope for air support or supply by air because of the bad weather. Over the following days, the weather cleared and the Allies eventually managed to supply the surrounded soldiers by air drops. The Germans attacked the town relentlessly, but didn’t manage to break the defense line. This was frustrating for German command, so finally German commander von Lüttwitz requested the surrender of the forces in Bastogne. McAuliffe’s response was simple – and consisted of only one word: “Nuts!” (which can be roughly translated into German with: “Ihr spinnt wohl!”). On December 26th, two of the German besieging forces where commanded to press forward and leave Bastogne behind, so that the only attackers left where Panzer Lehr’s 901st regiment and the 26th Volksgrenadier Division. Since both of these units where ill supplied and near to exhaustion, they were not able to continue the attack on Bastogne from all sides, but were limited to small assaults on certain points here and there. This wasn’t very effective, so in the end, the US forces managed to destroy all enemy tanks. On December 26th, the city was liberated by General Patton’s 4th Armor Division and a corridor to the Allied controlled parts of the Ardennes was opened. As mentioned before, Bastogne is still a crossroads town. The central square “Place General McAuliffe” was transformed into a giant parking lot. There is a tourist information next to the main road which almost exclusively sells war souvenirs – you can get anything from mugs, key rings, t-shirts with a “Nuts!” logo, posters, caps, postcards related to Bastogne, the USA, the 101st Airborne, and the Battle of the Bulge. At the edge of the parking lot is a Sherman tank (which is the main tourist attraction and very famous among kids who love climbing on top of the tank) and a bust of General McAuliffe. The parking lot is surrounded by bars and restaurants of mixed quality. Bastogne is located in the francophone part of Belgium, in Wallonie, so the dominant language is French. We made the experience that many locals only speak rudimentary English (if at all), so knowing at least some basic French expressions is highly recommended (and much appreciated by the locals). Many information boards and signs are in French only, in rare cases with a Flemish and sometimes with an English translation. 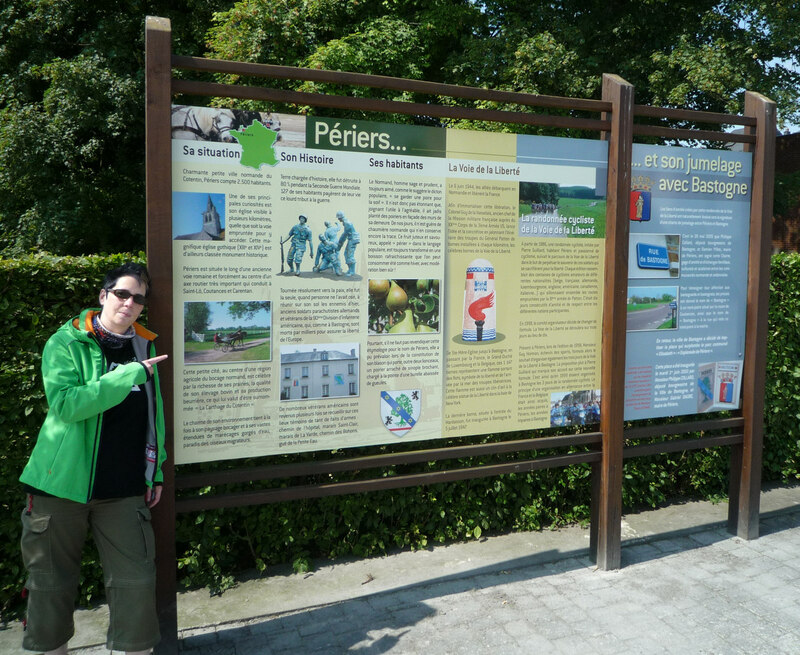 Luckily, at least some information boards regarding the Battle of the Bulge are multilingual. 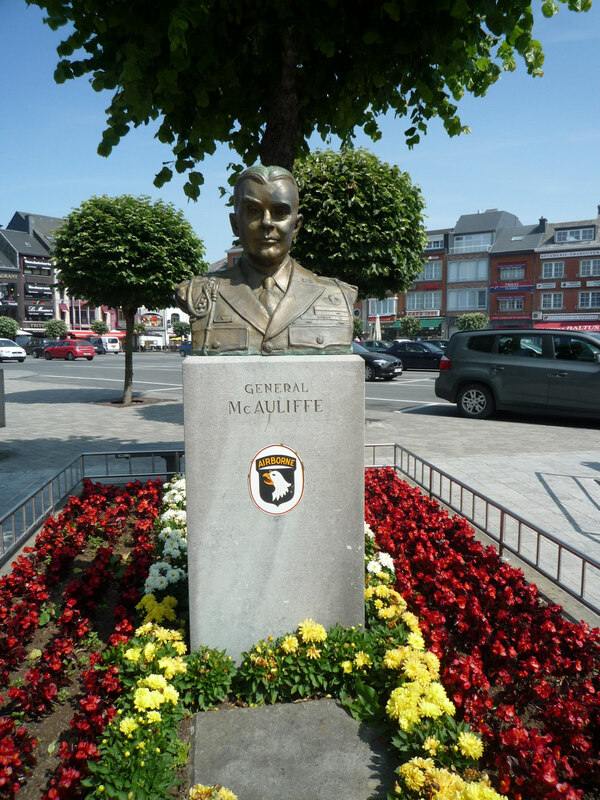 Despite the fact that there are lots of hotels in Bastogne as well as many restaurants, it isn’t the typical “tourist town” – we rarely saw any tourists at all and in the evening, we were almost exclusively among Belgians. Most battlefield tourists probably stay in one of the many beautiful and idyllic Ardennes villages, which are much more catered to tourism, with higher quality restaurants and bars. Since everything in the Ardennes is in close proximity to each other, it doesn’t really matter where you set up your base camp. Last year’s Clervaux was perfect because it is probably the most central town in the Ardennes with everything within a 30 km radius (including Bastogne). If we had known how beautiful La Roche is, we probably would have booked a hotel there. Wiltz is also a very nice town with many cultural highlights. But so we had the chance to make the curious experience of spending several nights in Bastogne, which was at least interesting, if not very relaxing, due to the constant traffic and the ugly parking lot which comprises the city center. At least there’s no problem to find a place for your car, but we had a car-house rented for our Mercedes because we remembered our experience in Arnhem, where all places to park your car cost 2,50 € per hour and parking spaces were limited. 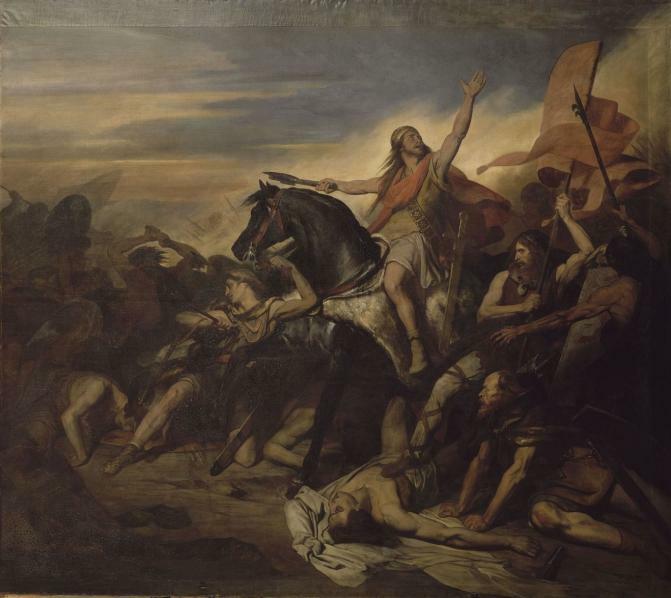 In addition to everything related to the Battle of the Bulge, other touristic sights include the annual bicycle race Liège – Bastogne, the museum en Piconrue (a museum about religious art and popular belief in the Ardennes) and Eglise St Pierre, a Gothic church with a Romanic bell tower. The three bells were donated by veterans of the 101st Airborne, German Fallschirmjäger Regiment, and the Anciens Combattants de Bastogne to commemorate the destruction of Bastogne in 1944. You can get a city map for free in the tourist information with the location of all relevant sites in and around Bastogne and the staff will gladly give you directions. 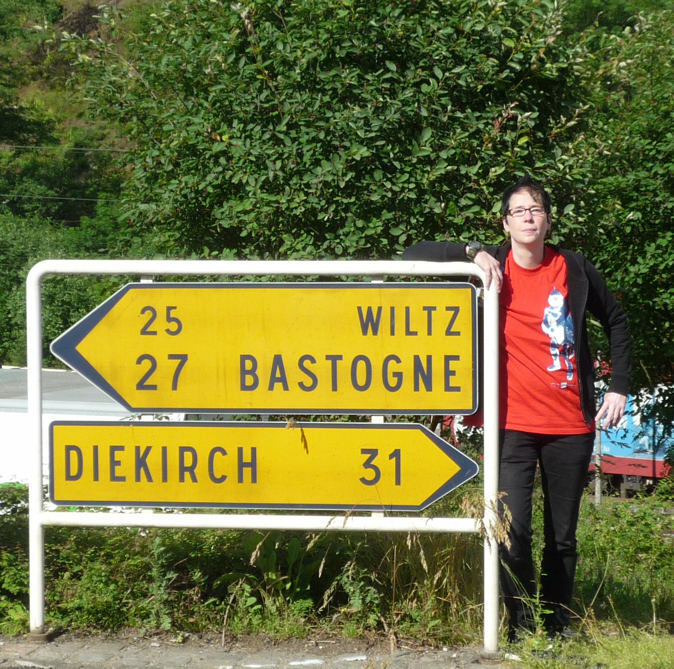 It’s difficult to get to Bastogne without car – the town had a railway station once, connected to Wiltz and St. Vith, but it was cut off from the railway net in 1984 because the route was unprofitable. So despite the fact that Bastogne is the central traffic hub of the Ardennes, it’s hard to reach with public transport. There is a central bus station and several bus routes lead to the city, but getting there by car is strongly recommended, or you will miss all important battlefield sites outside town, which are impossible to reach by public transport (if you are the sporting type, you could get there by bicycle, though, the area is very popular among bike and hiking tourists and the cycle and hiking path network is good and well signposted). 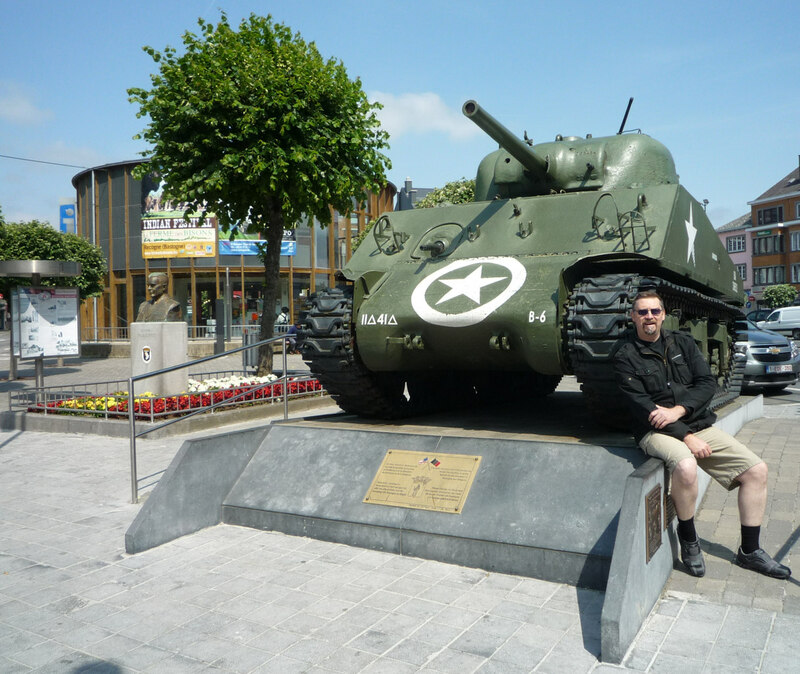 There are several museums in and around Bastogne dedicated to the Battle of the Bulge. Unfortunately, the largest one, “The Bastogne War Museum” is currently closed and under reconstruction. It will reopen in March 2014 as one of the largest and modern World War II museums in Europe. Another large museum, the “Battle of the Bulge 44” museum (9 km outside of Bastogne, close to the Luxembourg border), was (theoretically) open, but each time we got there, it was closed – despite the fact that we went there during the official opening hours, so we finally gave up on visiting it. 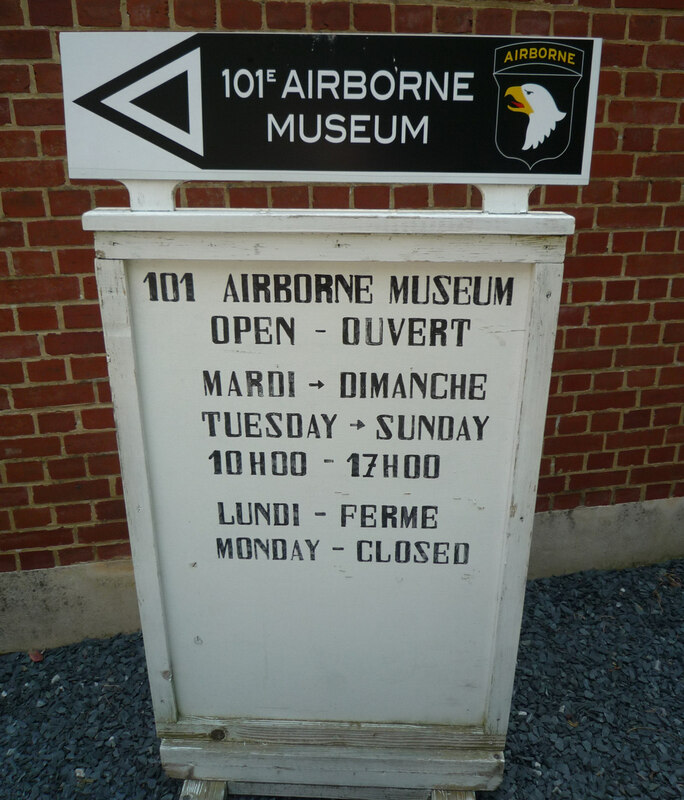 The 101st Airborne Museum is located in the town center, close to the central bus station. It is located in a historical building, the former officers’ mess of the Belgian army, which was later used as a German “Unteroffiziersheim” during the occupation of Bastogne. After the war, it served as a Red Cross hospital. The building was carefully restored and is a perfect location for a museum (as is the Villa Hartenstein in Arnhem-Oosterbek). The museum is quite new, modern and nicely styled. What distinguishes this museum from the many other Bulge museums we visited during our tours, is the fact that there are no common shop window mannequins used for the dioramas – but lifelike, very realistic figures with highly detailed faces and expressions, reminding us of wax figures in Madame Tussaud’s. Every soldier and person depicted has an individual, expressive face and conveys strong emotions. So all dioramas appear to be realistic and naturalistic. Together with these excellent mannequins, decent faint and classic music from hidden speakers conveys an almost pious atmosphere, in contrast to many other loud, crowded and colorful War museums. Especially remarkable are the “re-enactments” of famous photographs with life-size figures. 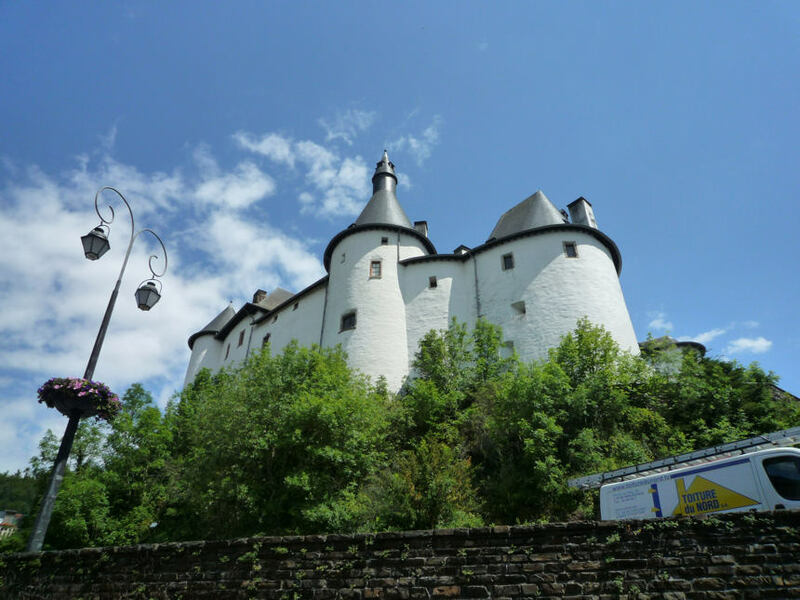 Clervaux is the perfect base for an Ardennes tour – every other interesting location is in a 30 km-radius! Don’t miss our extensive photo gallery with many more pictures from our tour! Our hotel was located in the medieval town of Clervaux (Luxembourg Ardennes), which is a perfect central basis for exploring the surrounding locations. The small town (app. 1000 inhabitants) is dominated by a massive castle from the 12th century, which also contains a Battle of the Bulge Museum. Clervaux is also famous for a Benedictine monastery on top of a hill above the town. The village is located at the small river Our, lies deep in a rocky valley, and is almost completely surrounded by tree-covered, steep hills. If you don’t travel by car, Clervaux has a small railway station and you can reach it by train from Luxembourg City or Liege / Belgium. Parking your car isn’t an issue here (in contrast to the difficult and very expensive parking situation in Arnhem! ), you can park your car almost everywhere by simply ignoring the no-parking signs because they are of no consequences (a recommendation from our hotel owner, and it proved to be true, we never had any parking problems in any towns in Luxembourg). 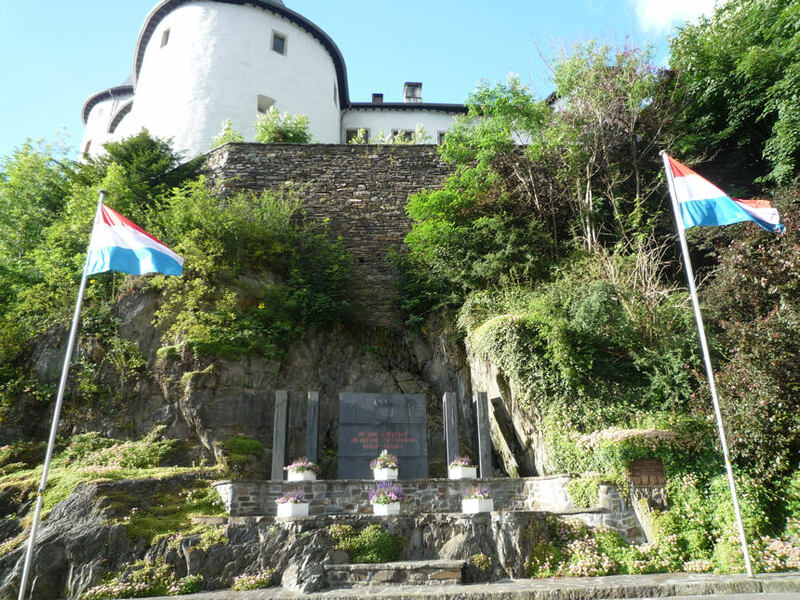 From December 16th to 18th, 1944, Clervaux was the scene of heavy fightings during the Battle of Clervaux (which has been referred to as the “Luxembourg Alamo“). American forces from the 110th Regiment and 109th Field Artillery Battalion were encircled by overwhelming German forces from the 5th Panzer Army and 126th Infantry Division, and retreated into the Clervaux castle. In the end, the US forces were forced to surrender when German tanks broke into the already burning castle, but at least they had managed to delay and bind large German forces for two days, thus slowing the German timetable of the time-critical offensive. Clervaux castle was heavily damaged during the battle, and the restoration was not finished until 1994. In front of the castle are a German 88 artillery and an US Sherman tank which participated in the Battle of Clervaux. 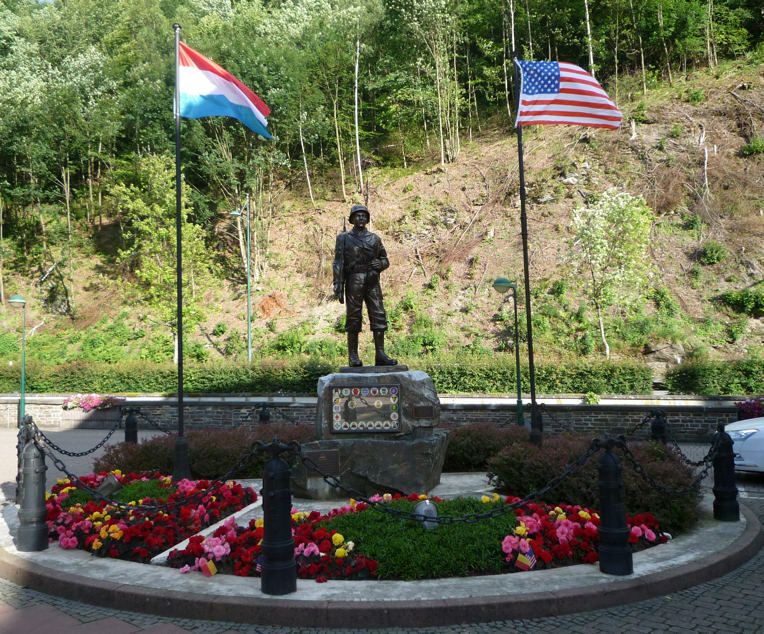 There is also a memorial next to the central square of Clervaux, commemorating the liberation of Luxembourg in 1944. 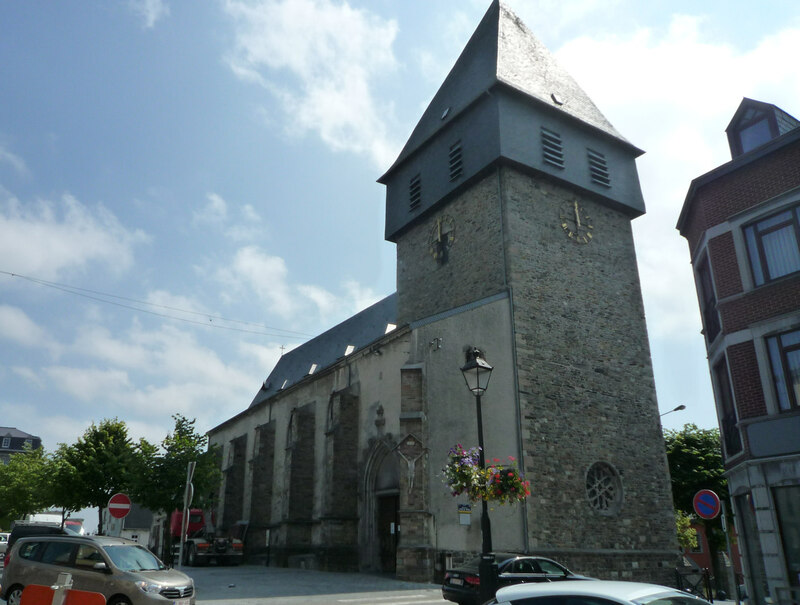 Other interesting sights in Clervaux are the Saint-Maurice and Saint Maur Benedictine Abbey, where you can listen to the Gregorian chants of the monks inside the church several times a day, and the impressive catholic church Saints Cosmas and Damian. In the Abby catacombs is an ongoing exhibition about life at a Benedictine monastery. There is also a golf course in the vicinity (which is rumored to be quite good) and most of the hotels also offer wellness and Ayurveda. Beware, there is no pulsing nightlife in the quite little town of Clervaux (in contrast to lively Arnhem)! There is a nice restaurant with beer garden in the woods above the city, “Ecuries du Parc“, which is located in the rustic building of the former horse stables of the Earl of Clervaux. Prices for meals are, as everywhere in Luxembourg, quite expensive (compared to prices in Germany), but the restaurant is excellent, as is the beer, and the historical, rustic atmosphere is very enjoyable. Everything in Clervaux is reachable by foot, so there is no need to drive by car from your hotel and you can enjoy the various beers offered here. Another recommendation for spending your evenings is the Bistro 1895 in our hotel, the Hotel des Nations. It offers good meals, diverse local beers and other drinks, so we drank ourselves through the various Luxembourgian and Belgium beers here. The atmosphere is relaxed and familiar – the hotel and the bistro are family owned since 1895, and the couple who own the hotel will happily tell you about the history of the hotel, their ancestors (who are displayed on family photos on the walls and even on the menu card), and about the good old times in Clervaux. The reason why this region and the Battle of Huertgen Forst are almost unknown to the average German citizen is the fact that this battle “didn’t take place”. Actually, when the Americans got over the Siegfried Line and crossed the German border, Hitler was deep into his preparations for the Ardennes offensive. The fact that Allied soldiers had entered the German homeland was a disaster for German propaganda – which was anxious to make the public believe that the Allies were held up in the West, in France and Belgium. So this battle was swept under the carpet and the German public was told that the Allies were stalled somewhere in the West. The locals of the Huertgen Forest were evacuated, so there were no eyewitnesses to the events in the region, and it was prohibited to talk about what happened there. The Battle in the Huertgen Forest was one of the bloodiest battles in World War II, it was the longest single battle ever fought by US forces and the trench warfare character of this Battle made it known as “the Verdun of WWII”. Veterans of Huertgen Forest stated that this battle was bloodier than the landings at Omaha Beach. Nevertheless, even today many Germans never heard about the Battle of the Huertgen Forest or could locate this region on a map. The Huertgen Forest (German: Hürtgenwald) is located in the far West of Germany, close to the Belgian border, in the National Park Eifel close to the Belgian National Park Hohes Venn, South of the cities of Aachen and Düren and north of Monschau. 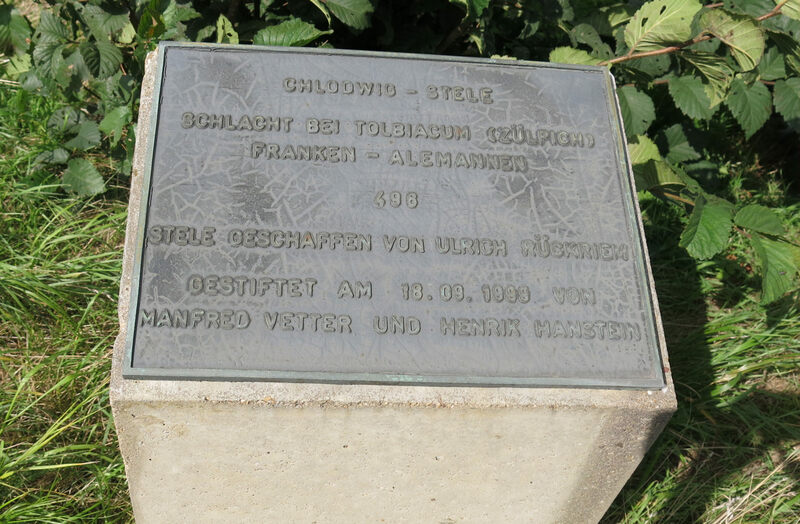 Fortunately, the Hürtgenwald region is very active in commemorating history. Even today, people in Vossenack or Schmidt are still living with the after-effects of the battle: Some areas are still mined because there are almost no maps left showing the position of the minefields. In addition, there were also glass and wood mines used which cannot be detected by metal detectors. You are advised not to leave the signposted routes in the forest, and if you want to build a house, first thing you do is call an explosive disposal team to check the ground. Each year, the remains of about 7 soldiers are discovered in the forests and fields. The Battle is still present everywhere in the region. In Vossenack is the Hürtgenwald 1944 museum which is maintained by the private “Historical Society Hürtgenwald in 1944 and in peace”. There are many memorials all over the place, for US soldiers as well as for Germans. One memorial is quite special: it is a memorial for a German officer donated by US soldiers. You can follow the infamous (well sign-posted) “Kall Trail” down into the forest where many remains of the Battle are still visible today. 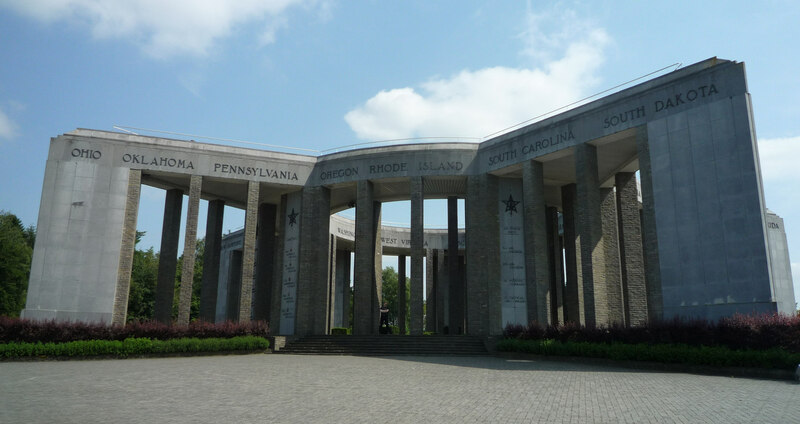 There are two large German war cemeteries in Vossenack and Hürtgen (US soldiers were buried in cemeteries outside Germany, for example in Belgium and the Netherlands, or transferred back home). The German veteran organization “Windhunde” (former members of the 116th Panzer Division (“Windhunde”) and their families, friends and descendants) is still very active in commemorating the Battle. They set up a large memorial next to the Vossenack cemetery, and they cooperate closely with US veterans. Each year in October there is a Remembrance Walk through the forest by US and German veterans, visitors, and citizens together with many events like an American style BBQ, meetings, and lectures. We went to the Huertgen Forest in September, on a very sunny day, but when you walk deep down into the forest, you learn very soon that you wouldn’t want to spend an entire winter there. The forests are very steep, the ground consists of solid rocks, and the conifers forest is dense and dark. As guide books, we used the “Militärgeschichtlicher Reiseführer” by Peter Többicke and the very good “Hürtgenwald 1944/1945 Militärgeschichtlicher Tourenplaner” by Rainer Monnartz. The last book is especially good and highly recommended if you can read German because it offers complete tours with location descriptions, photos, and even GPS coordinates, which proved to be very helpful. This summer, we decided to visit the battlefield of the largest airborne operation in Europe during World War II: The Arnhem region in The Netherlands, scenery of “Operation Market Garden” in September 1944. 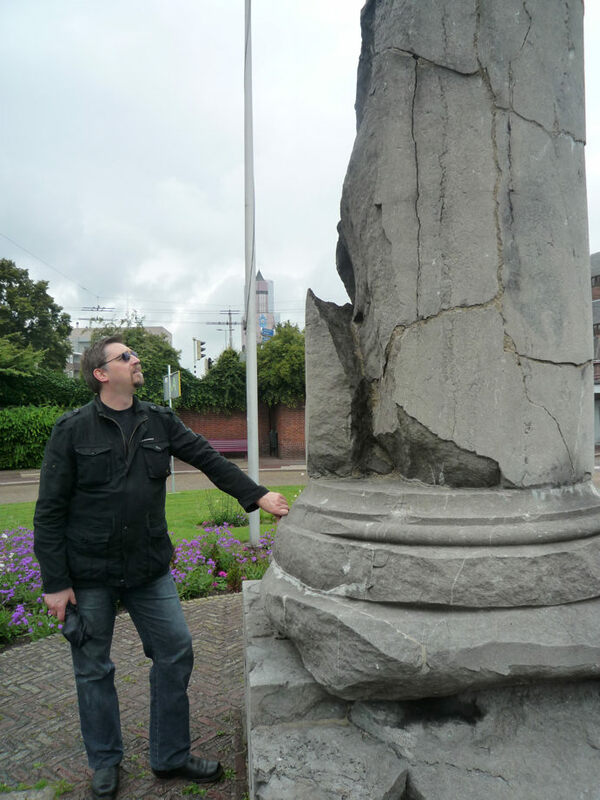 As a guide-book, we used “A Tour of the Arnhem Battlefields” by John Waddy. The main idea behind Market Garden was the seizing of the most important bridges across the rivers Rhine and Maas which would allow the advancing Allied ground forces to flank the Siegfried Line and to march straight towards the important industrial areas in Germany. British, Canadian, Polish, and US paratroopers got the objective of capturing bridges between the Dutch cities of Eindhoven, Nijmegen, and Arnhem. The first bridges could be seized successfully, but the bridge in Arnhem was “one bridge too far”, so that the Allied forces suffered a disastrous defeat and had to retreat under heavy losses – which prolonged the war and led to the “Hungerwinter” of 1944 where 18.000 Dutch civilians starved to death due to the fact that the Germans cut off the supply to the Netherlands as a retribution for the Dutch support and aid of the Allied landings. What went wrong in Arnhem? Well, the most important mistake was to underestimate the German presence in the area. Allied intelligence suspected that the German forces were scattered, poorly equipped, and that some of the spotted tanks were dummies or decoys. As a matter of fact, the German forces around Arnhem were the II SS Panzer Corps, consisting of the 9th and 10th SS Panzer divisions who were drawn back behind safe frontlines to be resupplied and refitted. So the Allied forces met some of the few remaining German elite forces at Arnhem, restored to full strength and equipped with all kinds of heavy equipment. The British paratroopers of the 1st Parachute brigade became trapped at the Bridge of Arnhem and surrounded by heavy German troops. 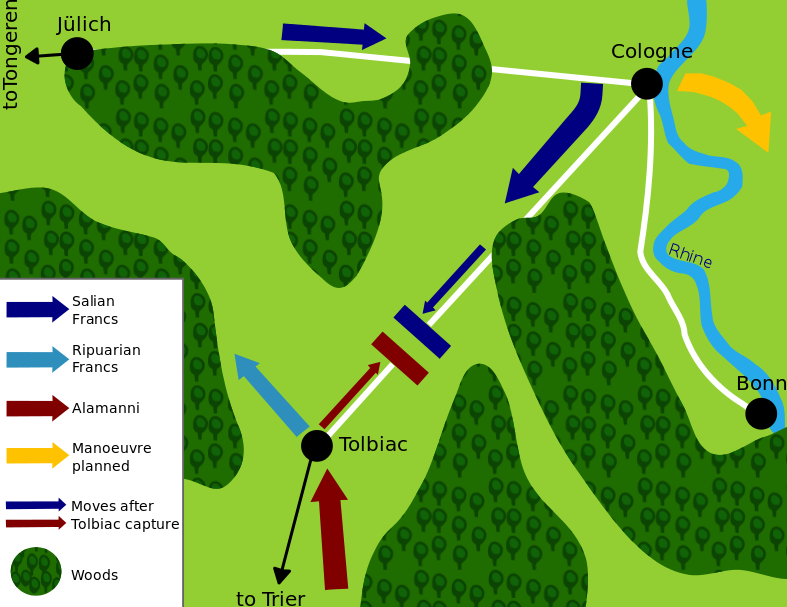 The trapped soldiers were shelled by mortars, artillery, and tanks, while most of the attempts to relieve or even evacuate the men were in vain. Lt. Colonel John Frost and his troops defended the Bridge to the last bullet for several days, until they ran out of ammunition. In and around Arnhem, Operation Market Garden is still very present. You can find memorials all over the area, even in private front yards, and all memorials are well-kept and decorated with fresh flowers or small wooden crosses with personal notes like “we will always remember”. Each year in September, the “Airborne Wandeltocht” (“Airborne March”) takes place which is the world’s largest 1-day marching event. The march is attended by civilians, visitors from all over the world, military, veterans, and police. 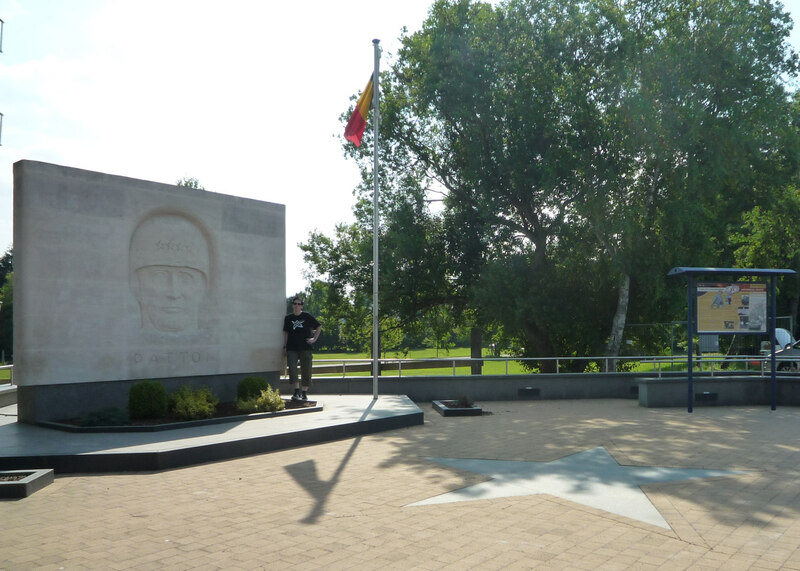 The route is along the drop zones and battlefields of Market Garden in the area around Arnhem and Oosterbeek. 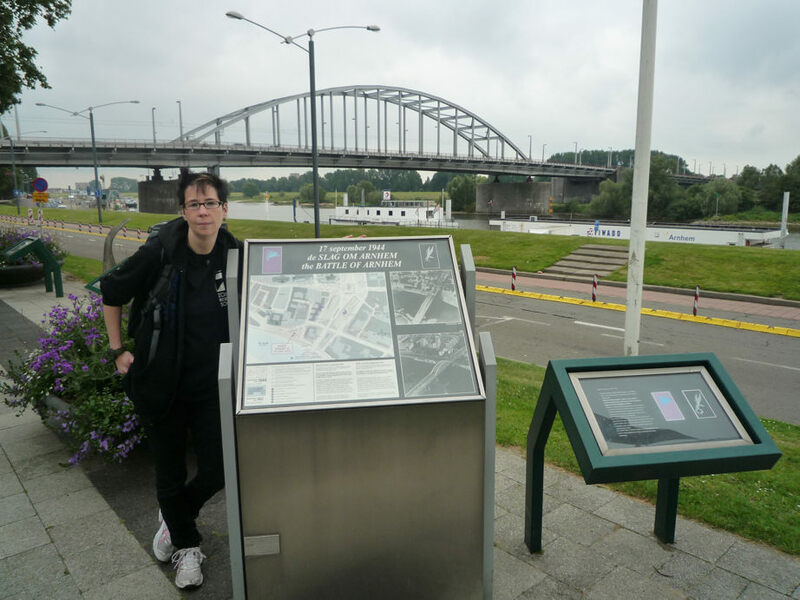 There are two important museums, and you can even follow the “Liberation Route” around Arnhem which leads you to the most important sites which are extensively described on information boards in English, Dutch, and German. The boards also show photos from the era and of the respective location during the war. In addition, there is the “Perimeter route” around Oosterbeek which is also well signposted. 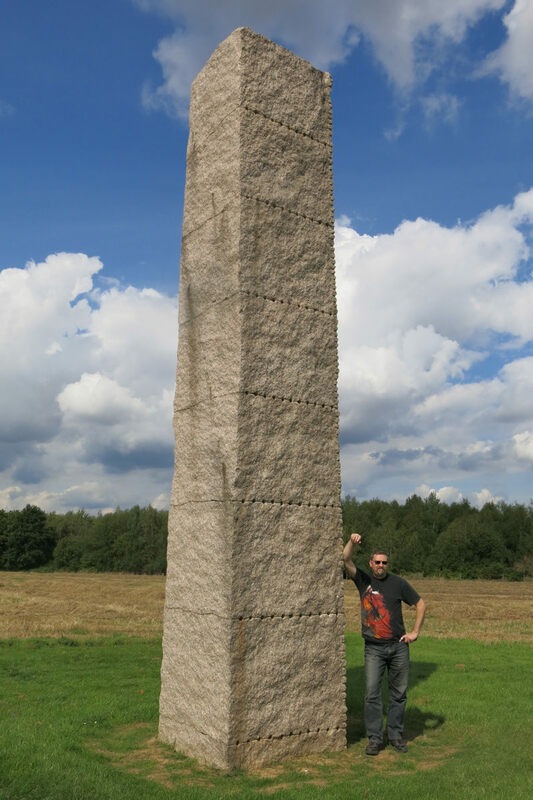 The area around Arnhem is so rich with history that you should bring enough time. One or two days certainly aren’t enough if you want to visit all important sites and memorials. We spent three days in Arnhem and we will certainly return there one day to see more of this very interesting and fascinating region with their friendly and open-minded people. Andreas and I used a prolonged weekend to visit the Bridge of Remagen which is located in western Germany, about 50 km (=31 miles) south of Cologne in the Federal State of Rhineland-Palatinate. The Bridge across the Rhine river was destroyed in World War II on March 17th, 1945 after 10 days of heavy fighting between German and US troops. After the destruction, the Ludendorff Bridge was never rebuilt but remained ruined as a memorial. Today, the bridge towers at Remagen (on the left bank of the Rhine) house a famous war museum, telling the story of the Remagen bridge. On the opposite bank, high above the medieval town Erpel, the volcanic basaltic rock “Erpeler Ley” offers a great overview of the Rhine valley, the bridge and the Eifel region. This mountain was called “Flak Hill” by the advancing US forces due to its strategic position and flak emplacements. We went to Remagen by train. 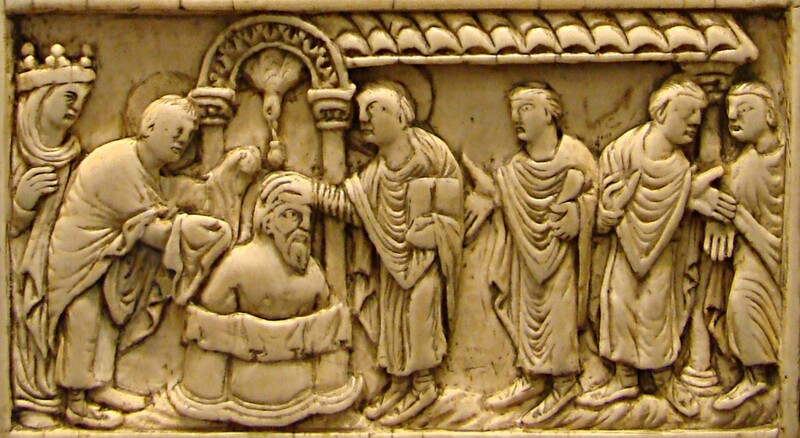 The town was founded by the Romans 2000 years ago (celtic name: Rigomagos, latin: Rigomagus). First, we visited the town and went to the tourist information. Remagen was partly destroyed during the War, so the town consists of the typical ugly mix of medieval townhouses and modern eyesores, mainly built in the 50s, supplemented by modern ambitious and less ambitious buildings. 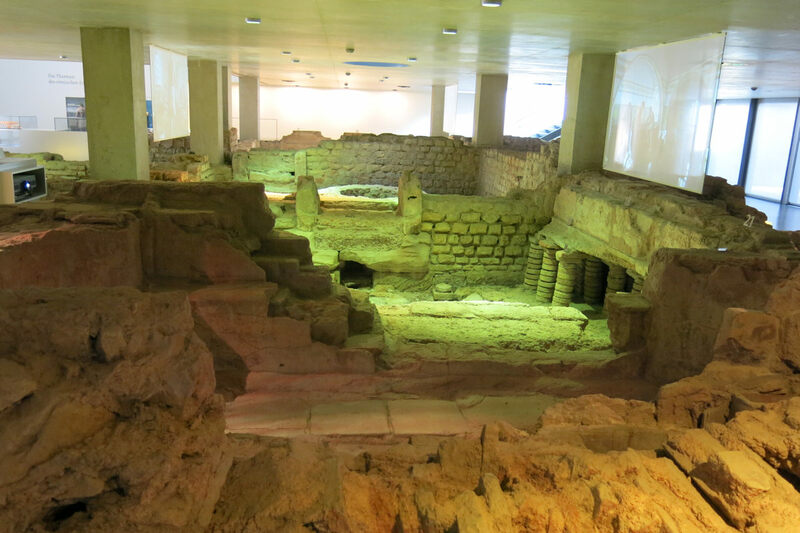 Nevertheless, there are some places of interest besides the bridge, such as a Roman museum, the infamous POW camp “Golden Mile”, and the Apollinaris Abbey located on an old Roman sanctuary. This church, located on the Apollinaris hill, was unaffected by the war. After a short stroll through Remagen we went down to the Rhine promenade. The weather was good, mostly sunny, sometimes cloudy but no rain. The remains of the Ludendorff bridge are widely visible because the black towers are quite high. The bridge is a famous tourist feature and quite popular among US and British tourists as well as other foreign and German tourists visiting the Rhine valley.